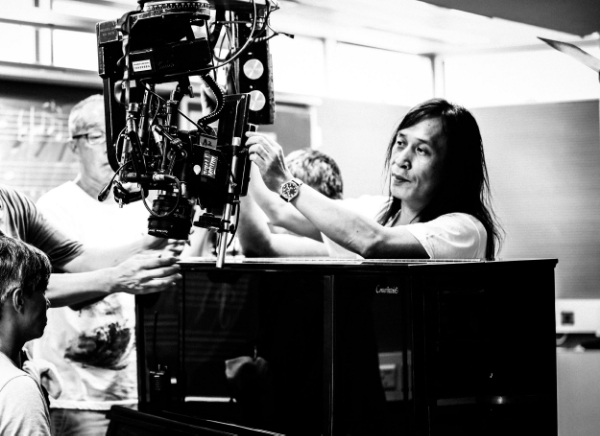 Herman Yau Lai-To will be the first recipient of the Asian Pop-Up Cinema Pinnacle Award – a career achievement award in recognition of Herman Yau's distinctive voice in Asian cinema. As part of the celebration of Herman Yau's three decades of prolific career as a film director, actor, cinematographer, scriptwriter, and producer, guests will enjoy a feature presentation of one of his recent celebrated works: IP MAN: THE FINAL FIGHT followed by an on-stage “Conversation With The Director” moderated by Chicago’s own film critic and entertainment writer, Patrick McDonald. We thank Cathay Pacific Airways for their generous support in flying our honoree Herman Yau to Chicago for Asian Pop-Up Cinema’s end of season festivities. Signature “Pinnacle” cocktail created with sake from “Tozai ‘Snow Maiden’ Junmai Nigori, Kyoto” by mixologist from Vine Connections; Hong Kong style dim sum, prepared by Hing Kee Restaurant from Chicago’s Chinatown. While sipping wine from City Winery, guests can enjoy live performance by Swiss Composer/Guitarist/Bandleader: Samuel Mosching. Judy Hsu, Co-Anchor of ABC7 News in the Morning followed by our Emcee, Susan Blumberg-Kason (Author of “Good Chinese Wife”), other distinguished guests from the Hong Kong Economic and Trade Office, New York and the Chicago Film Office will make their opening remarks. Moderated by Patrick McDonald, film critic and entertainment writer of Hollywoodchicago.com. Tickets are $125 per person. Please click here to buy tickets. (2 blocks south of Venue SIX10). Additional sponsors and supporters for the second season of Asian Pop-Up Cinema include: Japan Foundation NY, The Thai Trade Center, The Whitehall Hotel, Athena Design Group, Walton J. Newton & Co., AMC Independent, The Wilmette Theatre and many generous individual donors. In 2007, Yau was honored as the Director in Focus by the 31st Hong Kong International Film Festival. That year, he was selected Fanta Master at the 11th Bucheon International Fantastic Film Festival. In 2014, Ip Man: The Final Fight won the Bronze Prize at the Udine Far East Film Festival, and in 2015, Charlene Choi won the Special Mention Award at the 10th Osaka Asian Film Festival for her role in Sara (2014). The Mobfathers is Yau’s 2nd film released in 2016 after Nessun Dorma, a suspense thriller. Both of these films had their world premieres recently in March at the 40th Edition of Hong Kong International Film Festival. Yau is currently working on two more projects to be completed before end of the year. Since its inauguration in September 2015, Asian Pop-Up Cinema has presented 2 North American premieres, 12 Chicago premieres and a total of 18 contemporary Asian titles including films from Hong Kong, China, Taiwan, Korea, Japan, Thailand and Vietnam in 24 showtimes. Artists in attendance at Asian Pop-Up Cinema include: Directors Yuichi Satoh and Yukinori Makabe from Japan; Director Tom Lin Shu-Yu from Taiwan; Pinnacle Award Honoree Herman Yau Lai-To from Hong Kong; and Japanese Cinema specialist Mark Schilling from Tokyo. All films are shown in their original language with English subtitles. Each screening is followed by a Q&A session with a visiting or local Asian specialist, film critic and/or talent from the film. Highly rated, respected associate professor of Cinema + Arts of Columbia College Chicago, Ron Falzone, hosts the post-film Q&A.